HÀ NỘI – The National Assembly’s Standing Committee will ask the National Assembly to consider stripping Võ Kim Cự of his NA deputy title for his wrongdoings in the Formosa environmental disaster, said the NA Secretary General Nguyễn Hạnh Phúc on Saturday. Cự, the former leader of Hà Tĩnh Province where the Formosa factory is based, was elected as a NA deputy by a majority of 75 per cent during national elections in April last year. After learning the causes of the environmental disaster that affected four coastal central provinces, there were some asking the NA to review Cự’s position in the first meeting since he was elected. 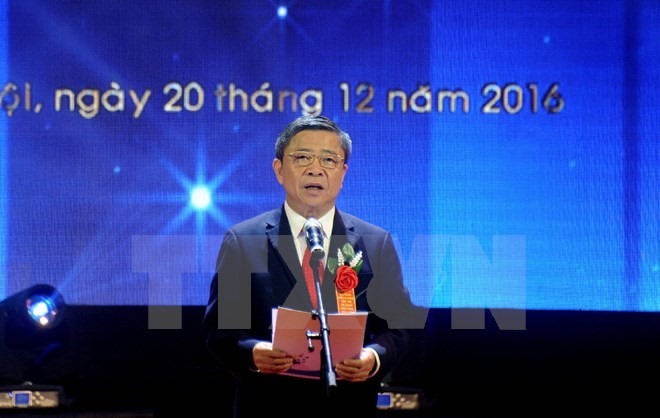 At the time, Phúc said that any reconsideration of Cự’s title had to await the official reports of the Party’s Central Inspection Commission and the Party Central Committee’s Secretariat on his wrongdoings in the Formosa case. With the two agencies this month both concluding that the 60-year-old leader committed several violations leading to the Formosa incident, Phúc said that Cự no longer had “enough credibility to be a NA deputy”. “Now the NASC has legal basis to ask the NA to reconsider Võ Kim Cự’s deputy title. The final decision will be in the NA’s hands during the upcoming NA meeting in May,” Phúc said. The Party Central Committee’s Secretariat on April 21 reached a conclusion on wrongdoings related to the Formosa environmental incident of the Party Affairs Section of the Ministry of Natural Resources and Environment (MoNRE) and several officials under the management of the Party Central Committee Secretariat. Võ Kim Cự, Secretary of the Party Delegation and President of the Vietnam Cooperatives Alliance, former Hà Tĩnh Party Committee Secretary and People’s Committee Chairman, was found to have signed many documents against the law to aid Formosa. The secretariat also concluded that MoNRE’s Party Affairs Section of the 2011-2016 tenure, its former Minister Nguyễn Minh Quang and other two former deputy ministers Bùi Cách Tuyến and Nguyễn Thái Lai were responsible for MoNRE’s violations in the Formosa case. The Secretariat voted unanimously to dismiss Cự from his post as member of the provincial Party Committee in two tenures of 2005-2010 and 2010-2015. Tuyến and Lai were stripped their titles as members of the MoNRE’s Party Affairs Section of the 2011-2016 tenure.